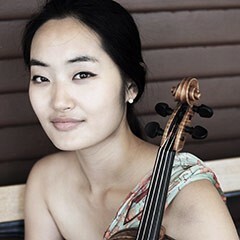 USC Thornton Artist diploma student YuEun Kim (GCRT ’15, violin), who studies under Midori Goto, won the 2015 Sundays Live at LACMA competition to present a solo recital at the Los Angeles Country Museum of Art on September 13. Kim was the winner among 13 finalists who competed for the opportunity in February. Sundays Live is a program of free chamber music recitals at LACMA, which are streamed live at lacma.org and available as a podcast from KUSC.